Now that November has arrived, it truly means Thanksgiving is just around the corner! With that knowledge in mind, you’ve more than likely already started planning how you want your holiday to go, whether it involves the menu for the day, if and where you’re going to travel or what guests you’ll invite for dinner. Of course, decorations are also important, especially if you’ll be the one to host the feast! We have a list of a few amazing Thanksgiving centerpieces you may want to try to give your holiday guests a bit of eye candy to enjoy! If you’re a big fan of candles, you may be interested in new and interesting ways to beautify them. If you want your dinner table to retain a cozy effect, these dried fruit candle wreaths are a great place to start. All it takes is buying some common citrus fruits—limes and oranges, for instance. Once you’ve picked out all the colors you like, slice them up and let them dry out. This could create a fragrance so beware if you don’t care for or are allergic to the smell of citrus! Once your fruit is good and dried, you can then weave slices together to form an adorable wreath. You don’t have to match the fruit slices up by size so how they’re arranged is totally up to you! 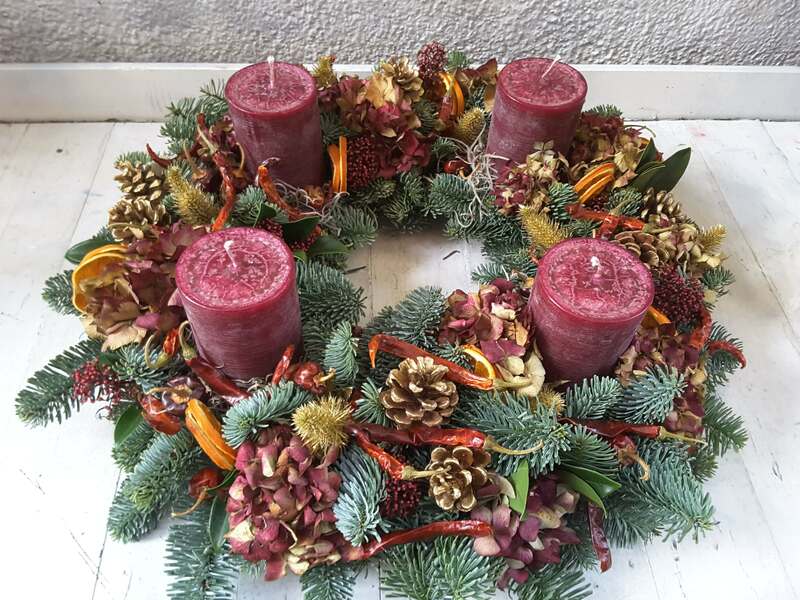 You may want to measure the circumference of your candles beforehand so you know how large to make your wreaths, too. Slip them over your candles, then group said candles together and you’ll have one of the most wonderful Thanksgiving centerpieces you’ve ever seen! Sometimes simple is best for your decorations. If this is your style, you may be interested in coordinating two or three colors for your Thanksgiving centerpieces, rather than making an extensive trip to the craft store. Try to gather autumn decorations in a more monochrome color, then a few more in a brighter color to really catch the viewer’s eye. 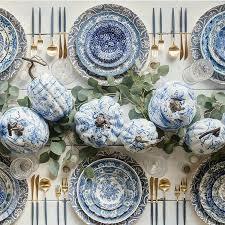 Try to stick to autumn palettes for this, rather than splurging on electric blue faux flowers. The shape of your decorations can be anything, making this decoration easy to put together. We recommend something harvest-based, such as miniature faux pumpkins! You may want to go an even simpler route and just display some flowers, but you can’t just slip them into any vase! Thanksgiving is a special occasion, and special occasions require special decorations. 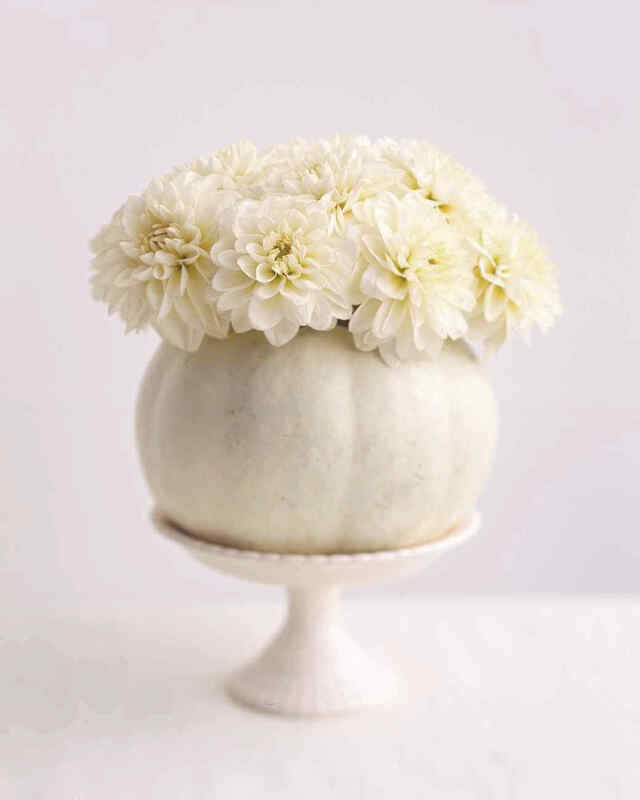 You can buy fresh, small pumpkins and empty out the insides to create a unique and gorgeous vase. If this is too much work, you can also buy ceramic vases fashioned into the shape of a pumpkin. It’s worth noting, however, the former offers a great deal of interactivity your whole family can join in on. You can ask your kids to help decorate the pumpkin vases once they’re cleaned out or even have them help you pick out the flowers. It’s a great way to get them involved in the festivities! Just be sure to fill these vases with water so your flowers stay hydrated. At A Time to Shop, we’re dedicated to helping you live better in every possible dimension and on every occasion. 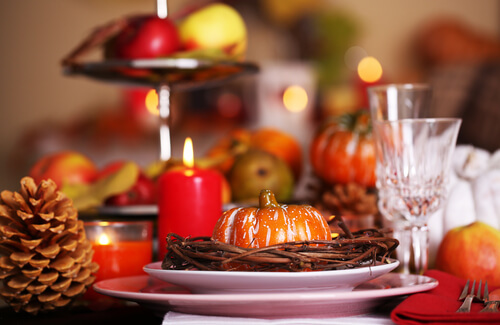 For more information on how you can spice up your holiday with gorgeous Thanksgiving centerpieces, be sure to check out our blog!